One common misconception about flag collecting is that it costs a lot of money. 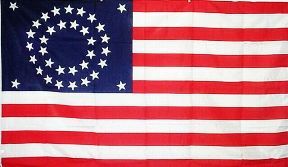 To the contrary, people who visit sites like FlagPro.com, the online home of The Advertising Flag Company, are not buying vintage collector flags that played a role in our nation’s history. They are usually buying replicas of these earlier flags that can be hung on poles outdoors or framed and displayed in the home. When historians, students and other proud American citizens discover flag collecting, they begin to see our country’s past in a whole new light. In its various forms, the American Flag has been present throughout the great national triumphs, the nation’s wars, and through national tragedies. It has been planted proudly on the surface of the moon, and oversized flags were draped over the side of the damaged Pentagon, the New York Stock Exchange, and in many other places after 9/11. While the number of stars may and some other design elements may have changed over the years, growing from 13 colonies to 50 states, the flag stands within our national conscience as an icon of strength, national pride and freedom. It has flown over the battlefield of the Revolutionary War, paraded onto the beaches of Normandy, and draped over the coffins of decorated veterans, U.S. Presidents and statesmen. Starting a collection of American flags from throughout America’s history is a great way to understand and appreciate the progression of our union, and now it is possible to find historical American flags for sale online. 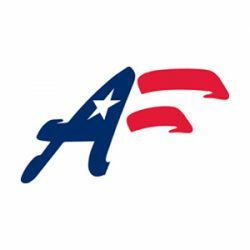 When you begin searching for historical American flags for sale, your first stop should be at the Advertising Flag Company or FlagPro.com, a company that has been serving the needs of flag collectors and businesses since 1989.